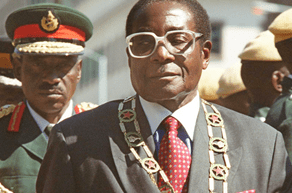 Zimbabwe President Robert Mugabe: Gays and Lesbians Are "Inhuman"
Zimbabwean President Robert Mugabe is at it again. While the Unuted States does have some “sanctions” in place against Zimbawe it continues to be a leading provider of humanitarian assistance to the people of Zimbabwe. The United States provided over $300 million in 2009 and over $200 million in 2010 for humanitarian, food, health, and democracy and governance assistance to Zimbabwe. In 2011, the United States continued to provide this level of assistance while also raising its commitment to fight HIV and AIDS in Zimbabwe by $10 million to a total of $57.5 million.